In a limited edition for this Autumn, the iconic and ever-distinctive KissKiss pack surprises us once again with its colourful design. Its understated case boasts incredibly elegant curves. A tube transformed into a work of art, a sculptural jewel designed as three sleek cubes. Pure chic! In perfect harmony with feminine curves, lips immediately regain their fullness and softness thanks to a formula enriched with plumping hyaluronic acid spheres. In parallel, Commiphora oil helps to smooth the lips' surface. The elegance of a timeless essential. 1. 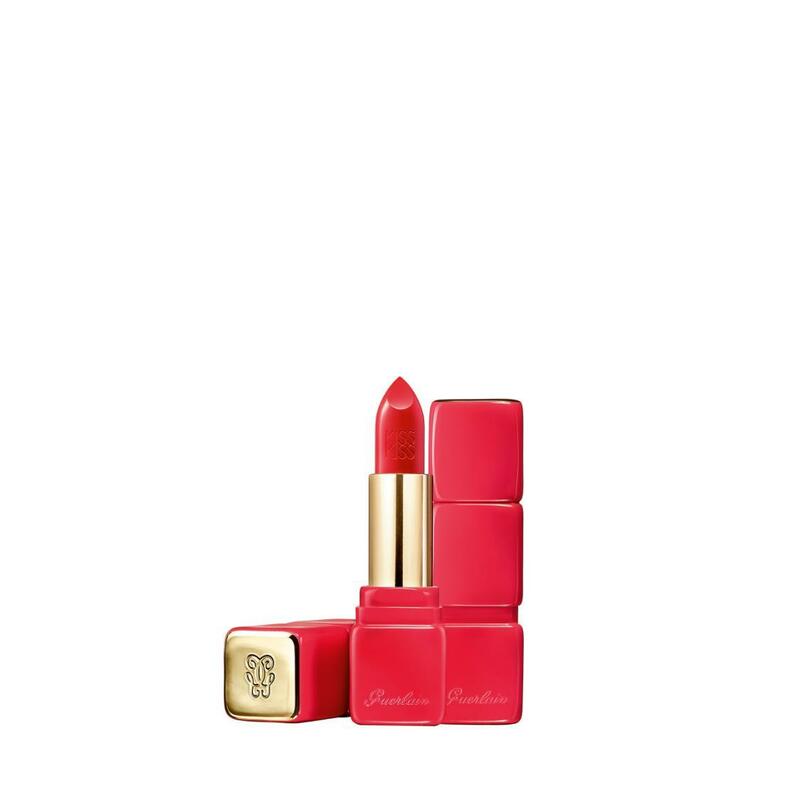 For the first time, Guerlain has reintepreted its iconic KissKiss lipstick, slipping it into a little coloured dress in a precious limited-edition. 2. Lips immediately regain their fullness and softness thanks to a formula enriched with plumping hyaluronic acid spheres. 3. In parallel, Commiphora oil helps to smooth the lips' surface.